Please note our center city Philadelphia office has moved. Additionally, we have opened a third office in Fort Washington, PA. 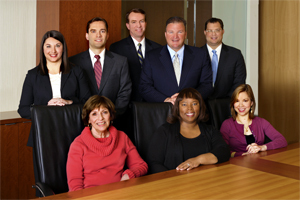 If you would like a free case evaluation, please call (215) 977-9500 or toll free at (866) 465-8743. We are deeply committed to helping personal injury victims and their families get the fair restitution they deserve for the many physical, emotional, and financial difficulties they may face. Our personal injury attorneys at the Philadelphia and Southern New Jersey offices of Sheridan & Murray specialize in providing legal assistance to injured victims throughout PA and NJ.